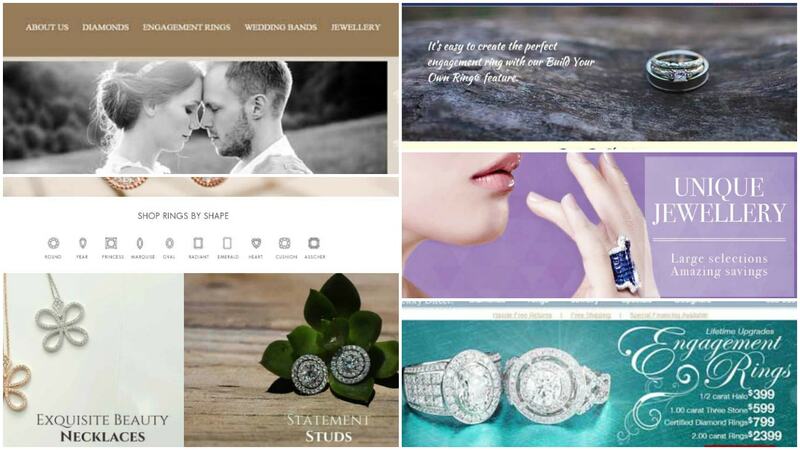 The user experience of your jewelry e-commerce website needs to be smooth. Smooth in the sense that the users should never have to look for something. The navigation and flow should always be obvious about how they work. If the users need to look for the important buttons like “add to cart” or “checkout”, you’re failing. Great user interface design must provide a ritzy, plush user experience and have a perfect balance of amazing looks, interactivity and simple navigation. Data collation is one of the most important tasks to accomplish while getting started on the site. The inventory data should be organized in a spreadsheet format like Excel. It may include stock number, metal type, size, stone origin, cut, etc. The migration of this data from spreadsheets to the backend should be done seamlessly. The phrase “a picture paints a thousand words” is often used to elucidate the need for good images to sell a product. Images surpass words and allow for a greater understanding of whatever is being discussed. Product photography could be the single most important design aspect for a jewelry e-commerce site. Well-constructed, sharp and vibrant images of colored gemstones and sparkling crystals showing the product at its best demand customer’s attention and sells infinitely more than any clever description. Always make sure you have effective, dynamic jewelry descriptions to engage customers and make them more likely to buy your jewelry. The jewelry description should not just inform the customer about the product; it should pique interests to buy the product. The description should be done in a way to not just sell the jewelry but sell the experience of wearing that jewelry. Whether that means writing creative scenes or listing specifications, the customers should feel like they need that jewelry once they are done reading. Shopping cart abandonment is one of the sources of loss for online jewelry retailers today. An easy checkout process can help in achieving higher rate of conversion. Give your customers the liberty to decide upon registration by making it optional. People don’t always like to be presented with a bewildering form to fill out. A clear progress bar indicator that demonstrates the path towards completion can most likely help the customer to follow through the purchase. It is vital the customers are given all the common methods of payment and indications that the customer’s payment information is absolutely secure. Another effective way to reduce shopping cart abandonment rates is following up by email. A common behavior found among customers is that they add products to cart on a site, so they could return later. If upon their return they find out that the contents of the shopping cart have expired, it can be a real hassle for the customers to start from scratch. The solution to this is persistent shopping cart. Done with persistent cookie, this shopping cart will be right there even a week later. Also giving the option to send the cart contents to email (retrievable through a link) is a clever way of staying on the shopper’s mind. Selling jewelry is much more than selling a product. The process alone is a special experience for the customers. Customers like to feel supported and well informed when making their purchases. It is important to be approachable by a customer before and after the sale. Customer service can be offered in various forms – online chats, email support, etc.Anything you do beyond this will be an added advantage for your online jewelry store.